Himashi Wijeweera will graduate in 2018 October from the Department of Integrated Design of the University of Moratuwa with a degree in fashion design. 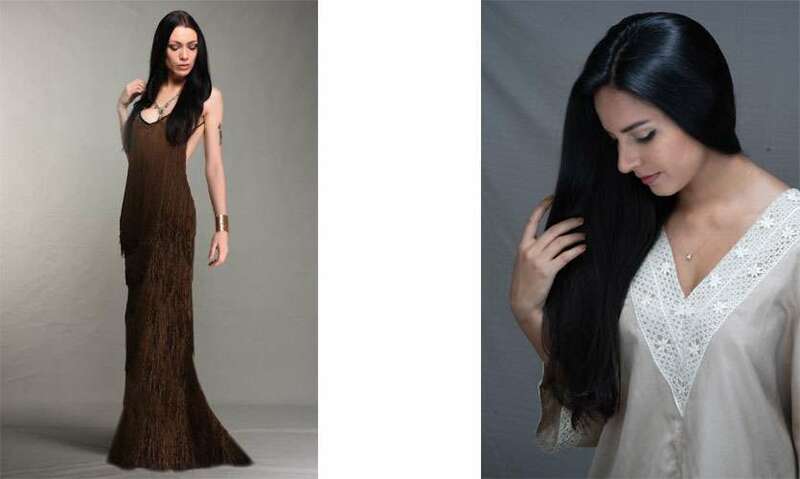 Her graduation collection and research in to the traditional craft of beeralu lace grabbed attention and earned her a place on several prominent ramps in Sri lanka. Having showcased her beeralu inspired creations at Colombo Fashion Week 2018 and most recently at the Swim Week Colombo Luxury Resortwear 2018 as an emerging designer, she is ready to fire up some interest in a stunning traditional craft which deserves an elevation in to mainstream fashion. You strongly believe that beeralu deserves a lift in stature and a place in the world of haute couture. Why so? Beeralu lace is a labour intensive, time consuming, 100% handmade lace. The level of personal involvement by the craftsmen is very high. During my research in to this handcrafted technique for my graduation collection, I compared the technical aspects and processes that are considered in making an haute couture garment with that of beeralu lacemaking. An haute couture garment is almost completely hand crafted. It is very labour extensive, time consuming, is custom made, highly embellished and requires a high personal involvement by the designer in the production process of the garment. The Sri Lankan traditional beeralu lace trim in its present form carries almost all the technical and process aspects of an haute couture titled garment apart from being custom made and embellished. And with some further experimentation done with the braiding method, it was discovered that this handmade lace can in fact be custom made and developed into forms with embellishments, thus fulfilling all of the above mentioned criteria. Therefore, I strongly believe that this craft has the potential to reach the haute couture level in the world someday. How can the craft be modernized to make it more appealing and current in terms of fashion? Modernizing this traditional craft requires a twofold approach. Firstly with regard to the development of the lace itself, I have experimented with many types if yarn, colours and embellishments using the traditional technique as well as different braiding surfaces. Secondly the lace needs to be integrated in to contemporary fashion silhouettes for the lace to be pitched in a different way. Beeralu lace is traditionally known as a “renda” used as a narrow trim lace to decorate the edges of a garment. This limits its usage. My vision is to take it from an old lace used for edging, to a traditional lace with a modern twist. What do you think the average retail customer needs to know about beeralu lace making? Firstly that it is a struggling and an endangered craft. The older generations of craftsmen are sometimes reluctant to innovate and the younger generations of craftsmen are moving away from braiding due to lack of recognition and various social perceptions around it. There are also fake artisans selling Chinese machine made lace at the same price of beeralu thus affecting pricing and demand. The 2004 tsunami also had various long lasting effects on the industry as well. Beeralu lace braiding process is labour intensive and time consuming. A typical craftsman can perhaps complete just about one meter of narrow lace in a one day. Therefore, creating a garment from this lace can be very costly and time consuming. I think consumers do appreciate the art form and value it. However sometimes there is a doubt if they are willing to pay the price they would spend on an expensive European lace, for a local modernized traditional lace which consumes the same amount of time and labour. Another thing to note is that lace is almost entirely done by women and is geographically restricted to the Southern Coastal areas of Sri Lanka. In that sense it is a very special craft. As a young designer, yet to launch a fully fledged label, what are the challenges you see before you? As a fresher to this industry, I would say one of the main challenges was to gain recognition as a designer. I was fortunate to be able to showcase my work to Ajai Vir Singh, the Founder and Creator of Colombo Fashion Week and Design Development Corporation. But launching a label and retailing can be quite challenging. I need a good team and that will take a while to build. I strongly believe that a team should be formed with people who are passionate about what they do, and not just some people who are looking for employment. I believe that only when you are passionate about something that you perform at your best. There is an obvious interest in the beeralu lace tradition among Sri Lankans. Do you see it sparking an interest within an international audience? After showing my collection at Colombo Fashion Week to both local and a small international audience, the comments have been very positive. I feel there are more opportunities in design aspects for an international audience, than for the local community. I am working on launching my own label in the near future. I will be building on the research done for my graduation collection regarding beeralu and will be using it as the signature element for my label. I hope I will be able to contribute at least a little towards supporting this dying handicraft. However, I will not restrict myself to a particular fashion frame as I believe personal satisfaction and freedom in doing what you want matters a lot for a designer.